“And when I looked out the hotel window, the view was exactly the same as the photo I used for my screen saver, down to the flowers on the balcony.” I heard this and I got goosebumps. This is the moment when I started to believe that there really was some magic in making a vision board. I was listening to my friend, travel journalist and motivational speaker Jeannette Ceja, tell the story of manifesting a 30th birthday trip to Italy. Hoping to celebrate her birthday on the Amalfi Coast, she started putting the intention out there, completely believing that it would happen. A photo of the Amalfi Coast became her computer screen saver, cell phone background, and, yes, an image on her vision board. Jeannette would tell people, in complete confidence, that she didn’t know how it would happen or who she’d go with, but that she’d be there. I very much believe in setting intentions, visualization, and the power of the mind to create our reality. However, when it came to an actual vision board, I was on the fence. I thought that they sounded like a great tool for focusing on what we want, but I doubted their efficacy. Then I heard Jeannette say those words and with such emotion. She walked into her hotel room, looked out the window, and it was the same view as the photo that was her screen saver. I was impressed. Then she added that it was exact, right down to the plants, the balcony, the pots, etc. That’s when I got goosebumps. Jeannette then shared that she was so surprised that she began to cry tears of disbelief. Of all the hotels on the Amalfi Coast, she manifested her dream image. Fast forward to a sunny afternoon in Venice Beach at Outsite. 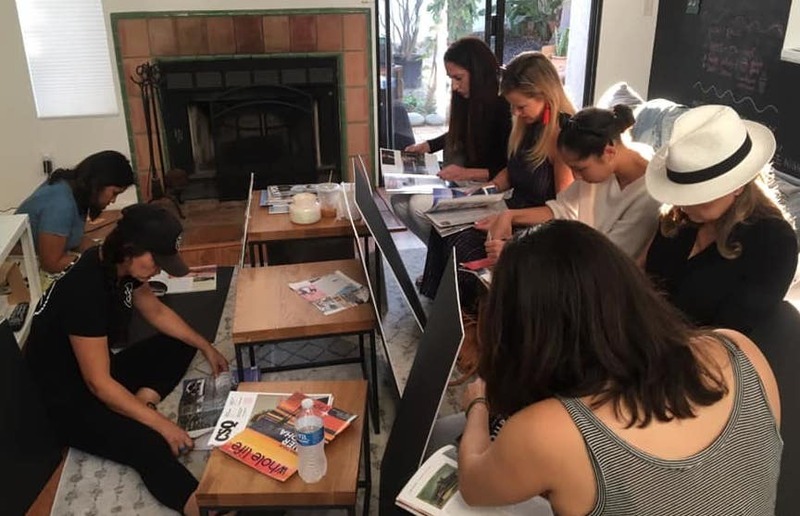 I was excitedly attending a Travel & Vision Board Workshop hosted by Jeannette, aka Jet Set with Jeannette. 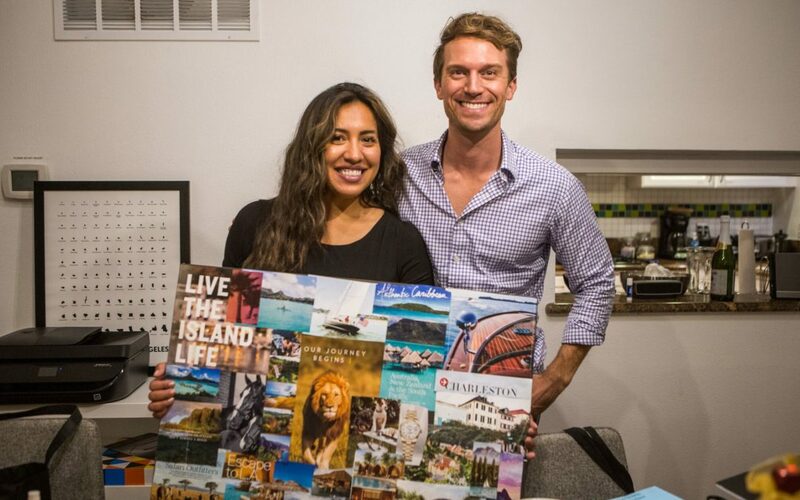 She discussed many of the principles that make vision boards a powerful tool. What you are doing is reinforcing to the subconscious what you want to create in your life. Your subconscious has no judgment, no filter; it simply accepts what we focus our attention on. Jeannette suggests looking at your vision board intently for at least 17-30 seconds a day as well as hanging it somewhere that you’ll easily see it throughout the day. This will give fuel to your creation. Another key is not to worry, doubt, or try to figure out how it’s going to happen. Just trust that it will. That’s one of the things that I admire most about Jeannette, this unwavering belief that anything is possible. Suspend your conscious, analytical mind and be open to the magic. 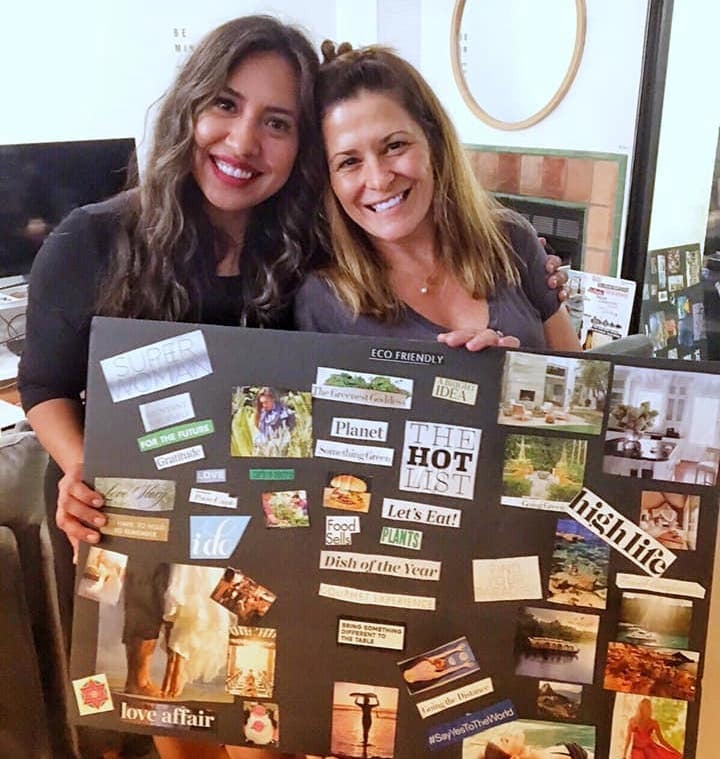 Jeannette has manifested many fabulous things by putting specific images and affirmations on a vision board. These included: her Italy trip, an apartment in Beverly Hills for her desired rent, and many opportunities to interview some of her global heroes. About six months after putting India on her vision board, Jeannette was given a special opportunity to cover and attend the India Tourism Mart in New Delhi. 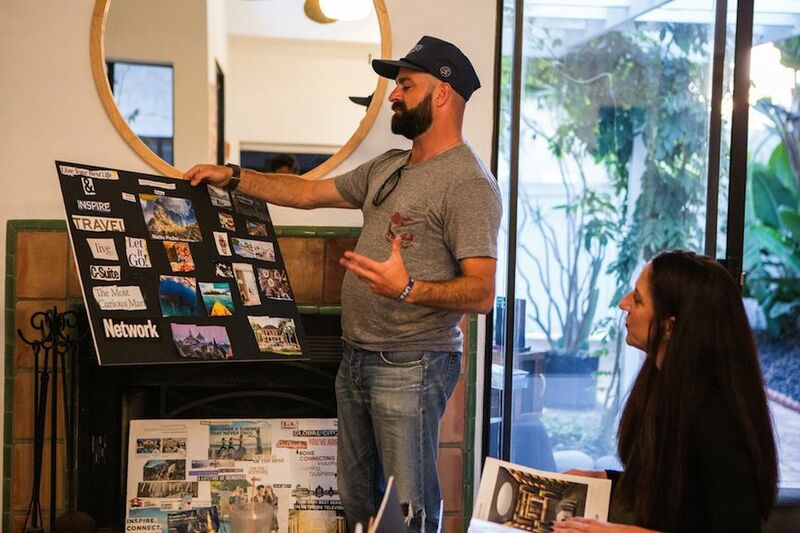 Essentially, a vision board is comprised of images, words, and phrases that represent (or evoke an emotion that represents) specific goals and things that you would like to manifest. Magazines are a great source of photos, meaningful words, and quotes. Jeannette provided a variety of travel and lifestyle magazines, and we all set to it, armed with scissors, glue sticks, and poster boards. Jeannette watched over us like a mother hen, warmly supporting each person and encouraging us to think big and not to limit ourselves. Jeannette’s passion was infectious. Go bigger! What are your dreams! Just go for it! As the boards came to life, a few people presented theirs to the group. First up was Mike Schibel, a travel enthusiast and founder of Travel with Meaning, who shared the significance of his images and words. A spontaneous round of applause with cheers of support erupted. I loved seeing the diversity. Nicole Landers, co-founder of Community Healing Gardens, included messages of eco-awareness and sustainability on her vision board. Some people used a smaller number of images, choosing just their most impactful finds. Others covered every last bit of space with vivid and overlapping images. What everyone had in common, though, was a big smile and excitement for the magic they were creating. We left, vision boards in hand, with Jeannette’s message of empowerment and a reminder to always go for our dreams. Her love of helping others to create fulfilling, joyful lives radiated through each hug goodbye. We parted, looking forward to hearing the stories of everyone’s vision board manifestations. 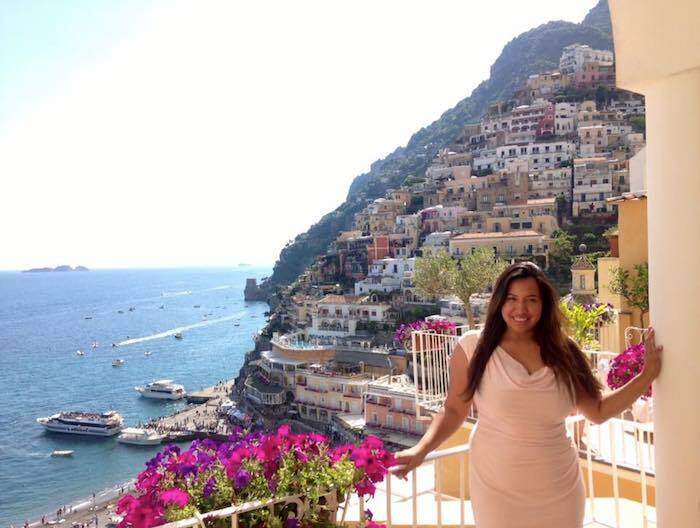 Jeannette Ceja is a travel journalist, travel host, and motivational speaker based in Los Angeles. Check out her website www.jetsetwithjeannette.com and follow her on Instagram, Facebook, and Twitter. Thanks to Bri Lopez Photography and Jeannette Ceja for sharing their photos. And Feel Good Salsa, Wine Ambassador Loren Hoffman, and WOLO for the delicious treats. Haven’t made one of these in a long time…maybe it’s time for a new one! Love seeing people go after their dreams. This is my very first vision board. I can’t wait to see what happens! What an amazing article! Thank you for coming and sharing your experience. I can’t wait to follow-up with you next year to see how many of your visions came true. And we both know they will! Thank you, Jeannette. Your encouragement and support means so much to me. Keep shining your rays of inspiration! Yes, I’m excited to see what magic next year brings. I love this! Did some vision board activities with my kids not long ago. It’s amazing to see what they’ll dream of and strive for when they are able to see it and create some actionable steps. I love that you did vision boards with your kids! Such a wonderful way to support their creativity and dreaming big!